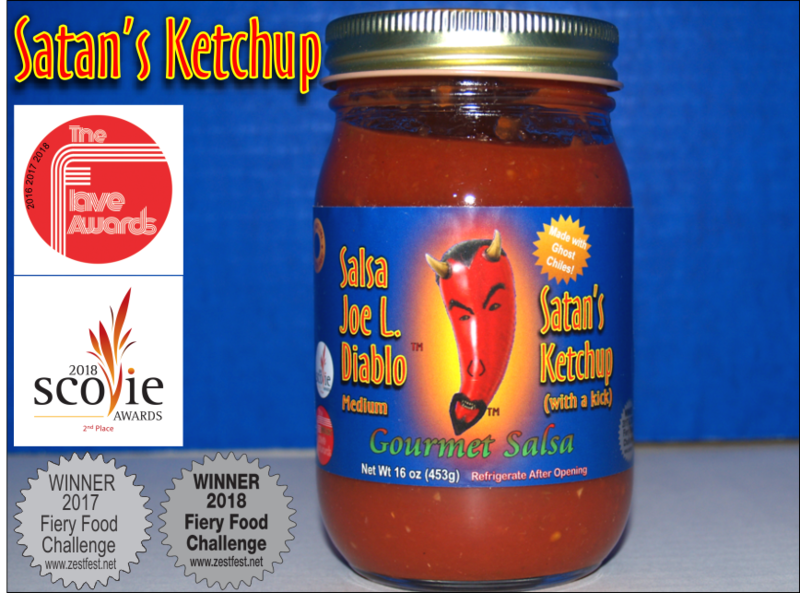 After many years of testing salsa recipes on friends and family we finally created a winning combination of peppers and all natural ingredients to make Satan's Ketchup. 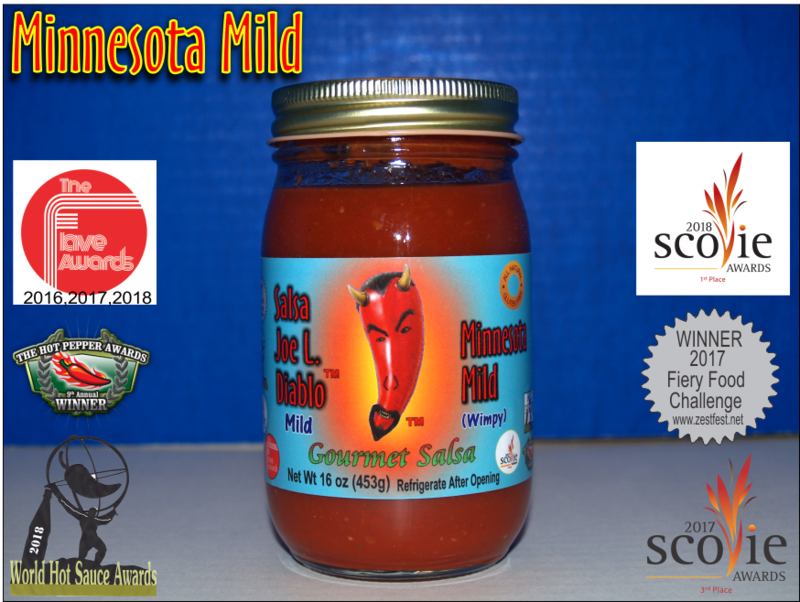 We now have the mild version of our delicious salsa for those who don't like spicy and a slight tingle on the tongue is perfect. If you are one of those people, then the salsa you are seeking is Minnesota Mild. 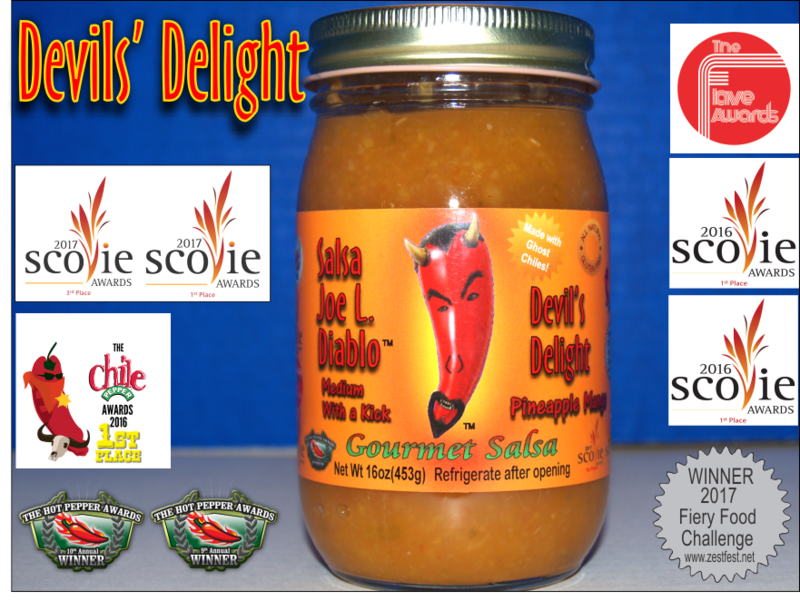 It has arrived Devil's Delight our Pineapple mango salsa which is outselling all the other varieties we currently have. 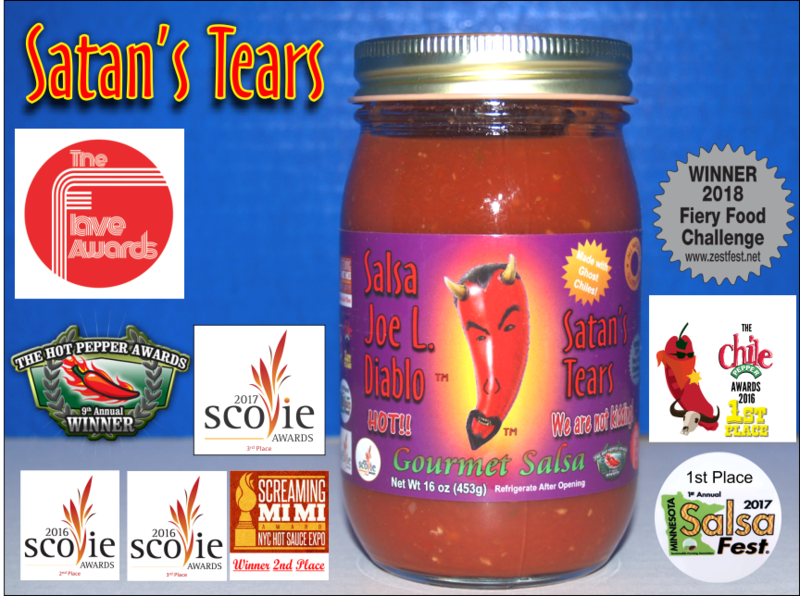 We have also added Satan's Tears our HOT salsa, This one burns al lthe way down to the stomach. 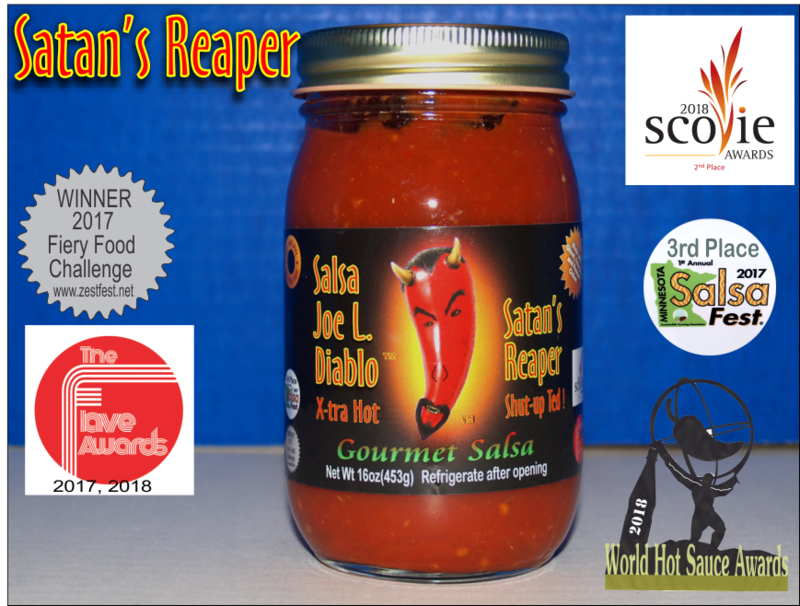 Our Newest addition to our lineup is Satan's Reaper for those individuals that want some serious heat. If you would like to order more than 6 jars of salsa please contact us and we can work out the best method for shipping and cost, Thank you. It appears Google Chrome does not work correctly with the current e-store, please use Firefox or IE, we are sorry for any inconvenience and we are looking into this problem.